If you’re ever in an accident, the one thing that should be on your person is your iPhone. Just make sure it contains your medical details. 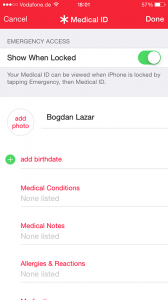 iOS8 has a new feature that lets you set up easy access to your emergency contact info and medical ID without having to unlock your iPhone. Earlier this week, I joined the ranks of porud iPhone 6 owners. I jumped directly from the iPhone 4S to the iPhone 6. The iPhone 6 is not only my first experience with a larger display, but also my first true hands-on experience with iOS8 on an iPhone. There are so many things to share, I wouldn’t know where to begin with, but I will start with these two tips. 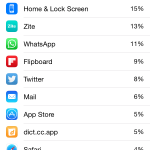 One provides a much needed source of information over the apps installed on your iPhone. The other just put a smile on my face and reminded me why Apple is well…Apple. With iOS8 out and almost 50% of compatible devices running it from day one, it seems there is no shortage of questions on how to do this or that with Apple’s latest mobile OS. While I’m not going to try and cover everything, my next few articles will cover issues that have really bugged me and issues that iOS has found a quick solution too (or sometimes surfaced more of a bug than anything else). When you want to hang a picture on the wall or perfectly level a piece of furniture, you don’t need any fancy leveler that’s just plain uncomfortable to use. All you actually need is your iPhone. No additional apps. Did you know that the Compass app that comes bundled in right in your iOS has a built in leveler? Just swipe left in the app and your iPhone becomes an instant perfect leveler that you can actually hold in your (one) hand. Compass might ask you first to calibrate the phone by rotating it so that the ball travels on the circle on the screen. It’s annoying, but necessary. So next time you want to align that family photo on the wall, don’t yell for help from the person behind you. 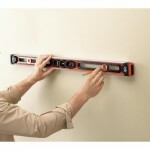 They don’t have the perfect leveler that you have right in your pocket. If your iPad home button is broken, you can still use your device by creating a virtual button on the screen. Every iPad has this feature and it’s a real unexploited gold mine, if you ask me. 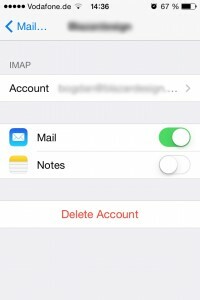 If you’re like me and have a bunch of email accounts hooked up to your iPhone Mail via IMAP (Internet Message Access Protocol), then you know the shriek of pain when trying to delete a email on one of these accounts. “Unable to Move Message. The message could not be moved to mailbox Trash.” Yeah, that’s the one. So you’re jogging and want to time your jog with music? Working and want a simple Pomodoro timer that works with your iPhone music library that notifies you when to take a break? Or you’re cooking and want to set a timer for when to check in on the turkey in the oven, again listening to music at the same time? 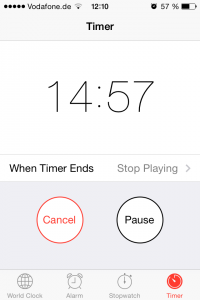 Here’s a nifty tip that will, simply put, set a timer on your music playback and stop playback when the timer hits zero. Click here to get the bite on - Did you know?